Natas do céu – literally “cream of the sky” but more commonly referred to as “heavenly cream” or “cream from heaven” – is a deliciously sweet and thick layered dessert from Portugal. 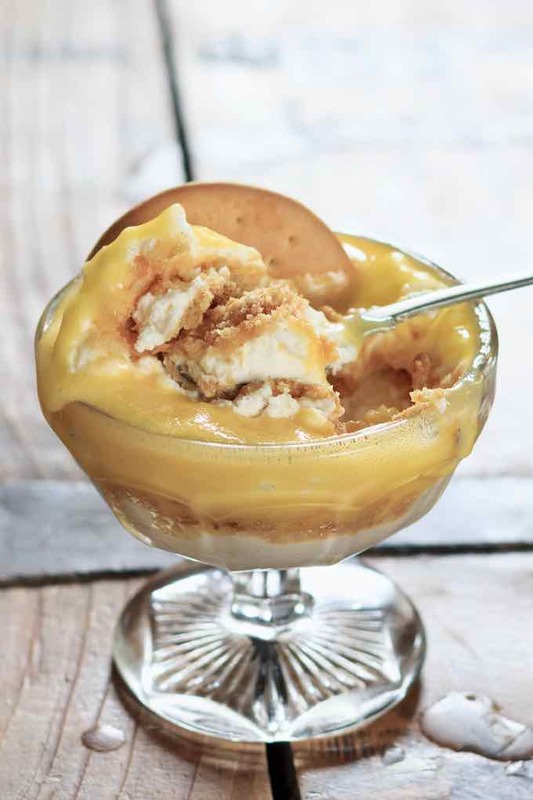 The Portuguese, ever inventive with naming their desserts, are right on the ball with this one – layers of fluffy mousse, crumbled Maria biscuits, and creamy egg custard really do make this a Heavenly dessert. Maria biscuits were invented in Great Britain in 1874 to commemorate the marriage of the Grand Duchess Maria Alexandrovna of Russia to Prince Alfred (later, Duke of Edinburgh), the second son of Queen Victoria. At the time, Peek Frean was a small London bakery but its Maria biscuits went on to achieve international fame the world over. In Britain, they are still known by their original name, Marie, but to the rest of the world, they are called variously, Maria, Mariebon, and even Marietta (in Ireland). Unfortunately for Peek Frean, while their Maria biscuit may have achieved international recognition, at home they’ve never managed to surpass the popularity of their somewhat older cousin, the rich tea, which was invented in Yorkshire a good 200 years beforehand. 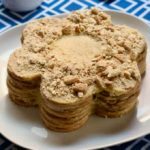 Allegedly, after the Spanish Civil War, when there was a surplus of wheat to be used up, the Maria biscuit – by then, baked in en masse – became a symbol of the country’s economic recovery. In terms of flavor, Maria biscuits are not overly sweet, and have a hint of vanilla. As with rich tea, their mildness makes them the perfect accompaniment for a cup of tea, and they’re not bad with coffee, either. In some regions of Britain, Maria biscuits are used to make (cookie-type) sandwiches, with fillings as diverse as Marmite, condensed milk, and marmalade (another Portuguese invention, actually!). In other areas of Britain, in a similar vein to natas do céu, Maria biscuits are crumbled up, and added to trifle. If you can’t find Marias in your local store, rich tea biscuits will work equally well in this recipe. Take a seat at a table in almost every Portuguese restaurant, and you’re likely to find natas do céu on the menu, so popular is this pudding. 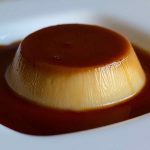 Of course, custard-based desserts made with Maria biscuits aren’t the sole province of the Portuguese; the Spanish have a similar pudding, called simply natillas, which is a custard topped with a Maria biscuit, while in Colombia, at Christmas they also have a dessert called natilla. Are you seeing a Portuguese-influenced theme here?! Some versions of natas do céu, by the way, are made with condensed milk and/or gelatin but traditionally, it’s made with milk, cream, and eggs, and is, I am reliably informed, a firm favorite at Christmas in Portuguese homes. 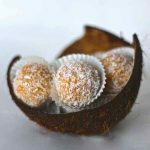 Which is just as well because with all the fat and sugar in this dessert, you really don’t want to be eating it every day, even if it does fully live up to its celestial name! The whole world, it seems, loves custard, and the Portuguese are responsible for disseminating this delicious confection to locations as diverse as Brazil – where they have quindim and pudim de leite condensado – and China, where they enjoy dan tat, a version of that most famous of Portuguese desserts, pastéis de nata (or custard tarts, as they’re called in Britain). In Tunisia, krima tounsiya is hugely popular, while the French love to fill their millefeuille and chocolate éclairs with pastry cream (crème pâtissière) – a type of thick custard. 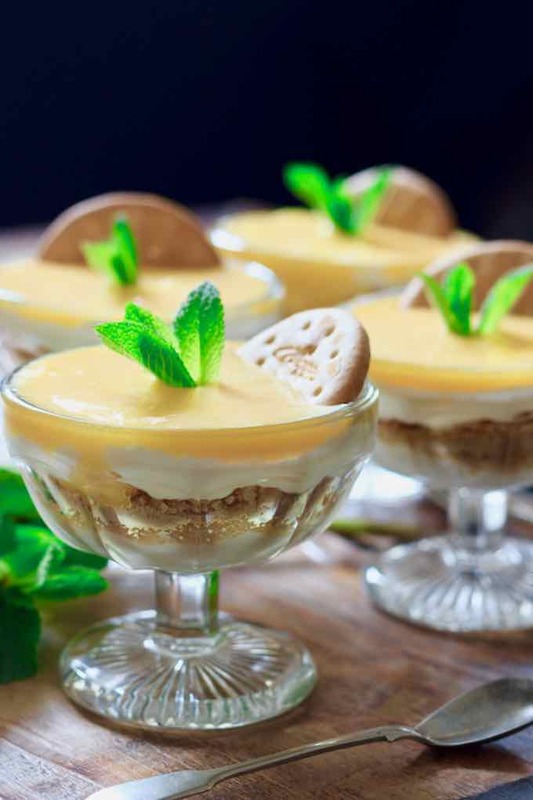 The French are also partial to floating islands, and the Peruvians are rather fond of suspiro limeno – another dish introduced to the Americas from the Iberian Peninsula. 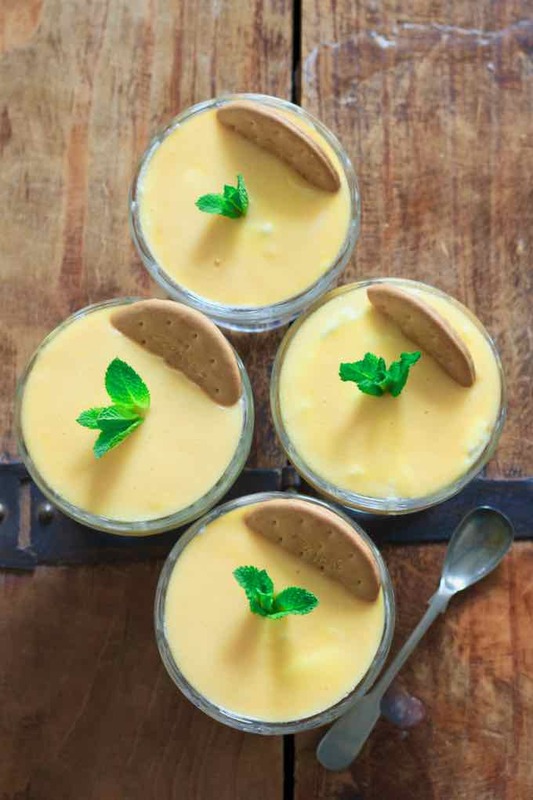 Legend has it that the Portuguese tradition of making rich desserts with egg yolk, sugar, spices, and cream began in the hallowed kitchens of the country’s religious orders. According to some, because the nuns starched their laundry with egg white, they had to find a use for the yolks; since Portugal had been a global trade leader since the 15th century, sugar and spices were easily attainable comestibles, and thus were Portugal’s sweet confections born. Trouble is, as romantic as this story sounds, the truth is much more likely to be that being stuck out in the middle of nowhere, with an abundance of dairy and eggs at their disposal, and presumably sugar and spice from travelling merchants seeking lodgings, monastic cooks simply had the time to be creative, and experiment with what was available to them. 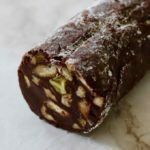 Certainly, by the 16th century, Portugal’s religious houses were well-known for their desserts and pastries; in the Evora region alone, there were 11 convents which were home to some very accomplished confectioners. 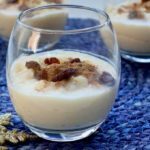 Of course, these ecclesiastical beginnings explain the names of some of Portugal’s most famous puddings; along with natas do céu, there are such delights as toucinho do céu (bacon from heaven – no bacon, just pork fat! ), pão de deus (God’s bread), and papos de anjo (angel’s double chin – surely an allusion to the richness of the dessert, and its consequences!). Fast-forward a few hundred years, and today, Portuguese bakeries and restaurants are full of the country’s 200-odd different types of confectionery… including this natas do céu. This recipe is validated by our expert in Portuguese cuisine, Chef Alexandre Silva. Chef Alexandre is the Michelin starred chef-owner of the restaurant Loco in Lisbon. 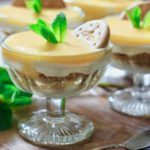 Natas do céu (literally "heavenly cream") is a deliciously sweet and thick layered dessert from Portugal prepared with custard and Maria biscuits. In a large saucepan, add the egg yolks, ⅓ cup sugar and the milk and mix well. Cook this mixture over low heat, stirring constantly until thick. Set aside for two hours to cool. Beat the egg whites with the lemon juice in the bowl of a stand mixer. When the egg whites begin to firm up, slowly and gradually add the remaining caster sugar, while continuing to whisk until the meringue mixture becomes shiny and smooth. In a large bowl, whip the cream and then gently stir in the meringue. Crush the Maria biscuits and set aside. In a large bowl or in individual cups, add a layer of egg white + cream, then a layer of crumbled biscuits and another layer of egg whites + cream, and finish with a layer of egg yolk cream. Refrigerate for at least two hours before eating. The product of a Venetian father and a British mother, Nicole has lived a nomadic existence since childhood, and has lived in 53 places around the world. For as long as she can remember, she’s loved to cook: by the time she was 12, she was cooking all the family meals. 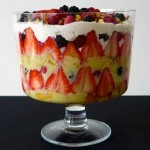 At yumsome.com, she share stories and recipes from her travels. Some are authentic, some are adapted, and others are old family favorites. Going to be my favorite dessert! Love the texture! Nicole Le Strange, thank you ever so for you post.Much thanks again.